Scaper’s Soil is a 100% natural active growing substrate specifically developed for aquaria. It supplies all the essential minerals and trace elements that aquarium plants require each day via its carefully selected natural materials. The naturalistic, irregularly shaped grains range from 1 to 4 mm wide. Scaper’s Soil has a loose structure that allows optimum flow through the substrate, and plant roots can easily grow into it. 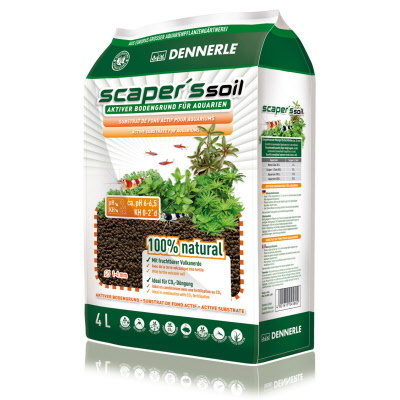 Scaper’s Soil offers the optimal foundation for vigorous, robust plant growth and bright colors. Mosses also benefit from this in the form of dense growth and brilliant green leaves. The deep black color provides a more intense, vivid contrast with the bright green of the plants. 1. The exceptional nutrient formula results in the minerals primarily benefit the plants rather than the algae. 2. The nutrient buffer function: as in a battery, excess nutrients are taken from the water and only released to the plants when required. 3. Just as healthy, lavish grass is the best defense against weeds in your yard, well-growing aquarium plants are the strongest opponents of algae in your tank. Scaper’s Soil has active ion exchange properties, resulting in a lower pH value. It stabilizes the pH at a slightly acidic level (approx. 6.0-6.5). It simultaneously lowers the carbonate hardness – down near 0°d KH depending on the water source – and therefore makes the water noticeably softer. It also offers a natural source of humic and fulvic acids, without discoloring the water. As a result, Scaper’s Soil produces water values that many tropical aquatic plants and fish are accustomed to from their natural environment. For example, most South American fish such as neon tetra, scalars, and discus prefer soft water. The pH value is stabilized by the soil so that Scaper’s Soil is also safe to use in combination with CO2 fertilization. 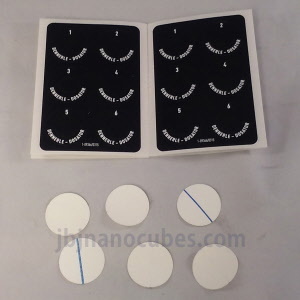 The porous surface offers the ideal conditions for the colonization of key filtering bacteria. This means the entire substrate serves as a huge biofilter. The soil absorbs many harmful substances directly from the water at the same time.